With his contract renewal with Sun Cellular, Jay-R says thatfans can expect "More commercials, more campaign, billboards, and I think I'mgonna be paired up with Iya [Villania, another endorser of Sun Cellular] thistime." The Prince of RnB, Jay-R, looked surprised when he was askedabout the network-transfer rumor about him. It started to circulate because Jay-R was not seen in SOP forseveral Sundays. In an interview with the singer-actor during the media junket for the renewal of his contractwith Sun Cellular network yesterday afternoon, July 8, at Circle's Café on TomasMorato, Quezon City, Jay-R assured the press that transferring to the othernetwork never crossed his mind. He just had some shows abroad so he was absentin GMA-7's Sunday variety show for a couple of weeks. "Actually, imposible kasi I'm binded with GMA-7 for twoyears," explained Jay-R, who just renewed his contract to his motherstation. "It's gonna be inappropriateto even just be negotiating or anything like that, you know, it's impossible." Jay-R is under a network contract with GMA-7. This means that aside from appearingregularly in TV shows like SOP, he will also have movies andtelenovelas. However, he is not yet seen active in these fields. "There's talk of [making a movie and TV projects], but we'restill waiting for the good role for me," Jay-R related to PEP (PhilippineEntertainment Portal). "Siyempre 'yongTagalog ko, medyo baluktot. Basta we'rejust waiting for the good role na bagay sa akin. So we're just waiting butthere's talk of one." ON BILLY CRAWFORD. Another possible source of the network-transfer rumor was the news aboutBilly Crawford, who recently moved to ABS-CBN. Billy's booking agent here in the country is Arnold Vegafria, who incidentally handles the showbiz career of Jay-R.
With this connection, the press asked Jay-R if the rumoredrivalry between them is true. The RnB prince immediately replied, "Friends kami [ni Billy]at saka magkaibigan talaga. Walangrivalry, but I'm sure the networks, they're gonna ano, pagtapatin kasi parehokaming RnB [singer], di ba? "Pero okay lang, sa akin maganda 'yon, e, healthycompetition. Kasi it just makes me better as an artist, it inspires me to dobetter—you know, start dancing like Billy, start singing more. Siyempre ang galing ni Billy, e, kailangantapatan ko rin, di ba, for my network naman?" To prove that there is no friction between these two musicartists, Jay-R told PEP that he and Billy sometimes work together at his ownrecording studio. "We're constantly inthe studio, we're always meeting, you know, we're always communicating. So you know, we're friends talaga," saidJay-R. He also added that he is willing to work with theinternational singer for an album. In fact, Jay-R said they've alreadyrecorded some songs together. "We collaborate all the time, actually. We're always writing songs together, alwaysrecording. So, it's just a matter ofputting it out na lang." Before the press conference started, Jay-R's manager toldhim that his album Soul in Love has already reached gold. He will be given an award this Sunday, July13, on SOP. 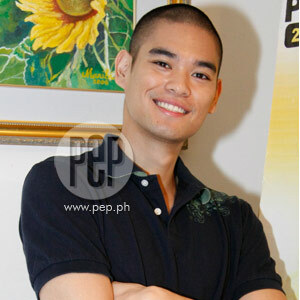 When asked about it, Jay-R gave a smile and told PEP, "I just released it last January... It feels goodkasi I really worked hard in the album, you know. I guess a lot of people appreciate my hard work and they got acopy of my album."